For this card, first I cut out a rectangle from the front leaving half an inch on all sides. I then trimmed the rectangular piece, 1/8 inch from all sides. Adhered a piece of vellum covering the back, then placed the trimmed piece back on top of the vellum. I did this very quickly, so the results aren’t very neat. such a beautiful card! love that sentiment! Love your card! 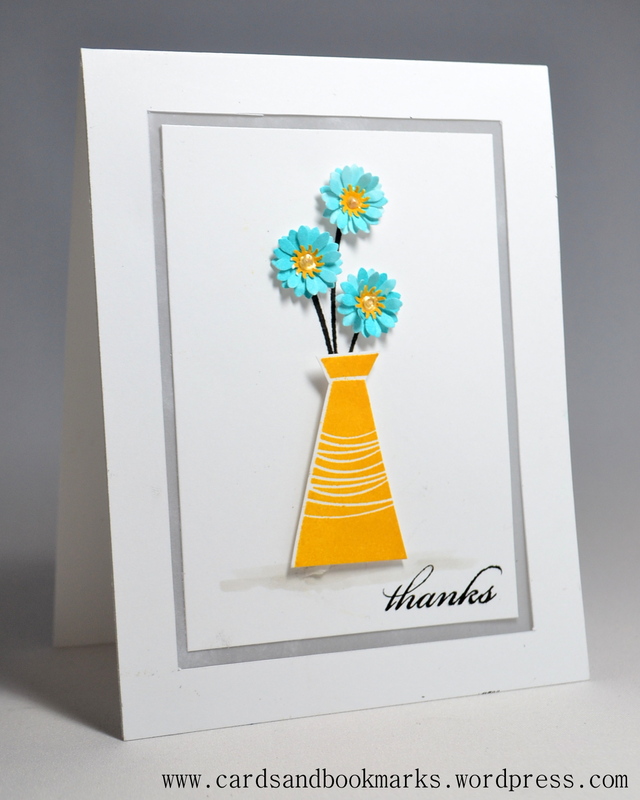 It’s clean and simple and very nicely done… love the colors! Beautiful! Such a pretty fresh feel to your card. Wow you are on fire with RIC! What a sweet card. I really like the daisies! These tiny flowers are so charming!